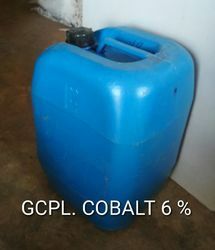 We are a leading Manufacturer of cobalt octoate 3% and cobalt accelerator from Pune, India. Cobalt Octoate with 3% Cobalt content is an effective accelerator for polyester. It affects curing or polymerization of Unsaturated Polyester Resins in combination with catalyst likes MEKP (Methyl Ethyl Ketone Peroxide).